I know that you will be disappointed by this piece of news, The Hobbit will not be coming to Comic-Con this year. 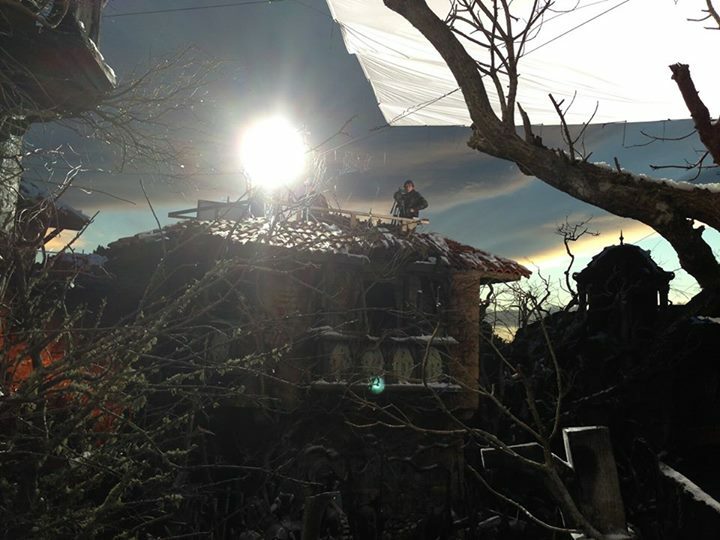 Peter Jackson, the great director of the trilogy, explained in the latest Production Vlog from the sets of The Hobbit: The Desolation of Smaug production vlog. The new video brings in a positive twist to this very disappointing news indeed for many very new unfinished scenes are featured here in. 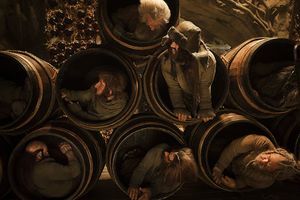 The video blog also covers the additional photography for The Desolation of Smaug and movie three, There and Back Again, which will be released on December 14, 2014. Enjoy the 11th production vlog (and the first for The Desolation of Smaug) of The Hobbit. 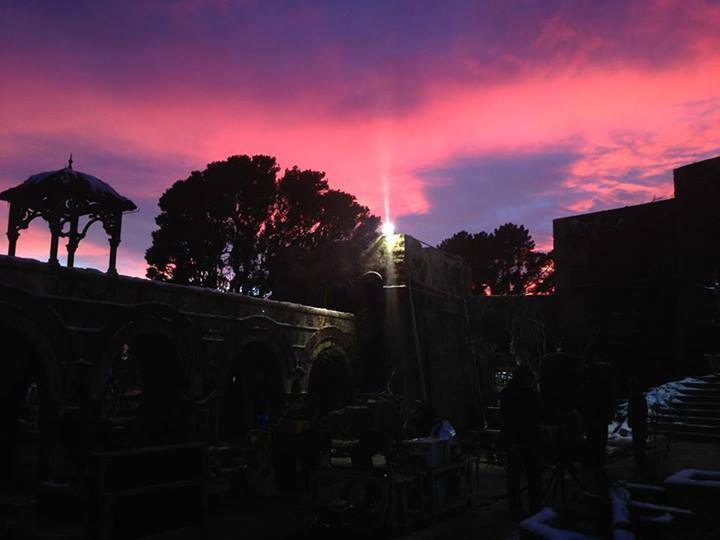 We also have here an early morning picture from the set of the movie. And here's an evening shot over Dale. The Hobbit: The Desolation of Smaug hits theaters on December 13, 2013.